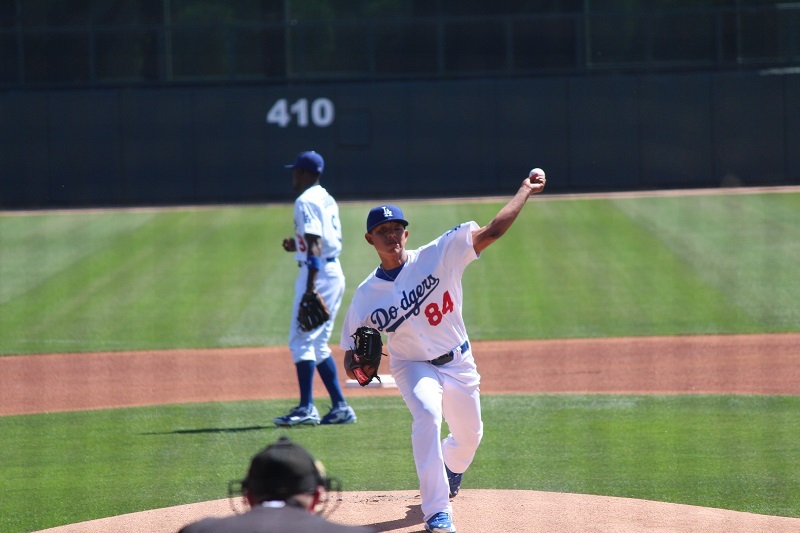 GLENDALE, Ariz. — Word went around Saturday morning that Dodgers’ 17-year-old prospect Julio Urias was slated to pitch on the Major League side, yet it wasn’t clear when that would be. 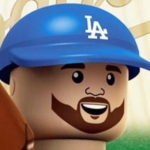 Sam Demel was originally expected to start the first game of a split-squad Saturday for the Dodgers (they won 5-4, if anyone cares). It was announced about 45 minutes before the game that Urias would be starting instead. And what a start it was. He fell behind 3-0 to the Padres’ leadoff hitter Will Venable only to come back and strike him out. He then got Chris Denorfia to ground out to Miguel Rojas on three pitches. Finally, Urias faced Yonder Alonso. He got a called first strike, a check swing on what looked like a slider for strike two and, after a ball, made Alonso look silly on a slider. The park was buzzing after that and it was a slight letdown when he didn’t come back out for a second inning. Seriously, this is the most disappointed I’ve ever been to see Kenley Jansen come into a game. Longtime Dodgers’ scout Mike Brito watched Urias’ start from the scout seats and liked what he saw. “I am very happy because he showed greater stuff than what I expected,” Brito said. Brito would go onto call Urias’ curveball and slider “nasty,” while his changeup was “good.” This is the first I’ve heard of Urias using a slider. Perhaps it’s something he worked on over the winter, because he’s been known as a fastball-curveball-changeup guy in his brief professional career, even if his curveball has slider tendencies. A scout said Urias was working from 92-95 MPH, while Brito had him clocked at 94-96 MPH — which is insane for a 17-year-old. Urias said pitching for the Dodgers has always been one of his dreams. Urias said he found out this morning that he’d be starting this game. Don Mattingly was reluctant to divulge exactly when Urias would pitch in the afternoon game. “Have a pretty good idea it’ll be one of the nine (innings),” Mattingly joked with reporters during his morning press conference. Urias said while he doesn’t know a lot of players on the Major League side (yet), he said he’s been getting a lot of help from the coaches on the minor-league side. He threw 14 pitches — nine strikes and five balls. He mixed in all four of his pitches and showed plus-velocity. His delivery is free and easy, which leads to projected plus-command/control. He twists his body slightly, ala Odalis Perez, and hides the ball extremely well before he releases it. That added deception makes his stuff look that much more impressive. Here’s the video from his outing.